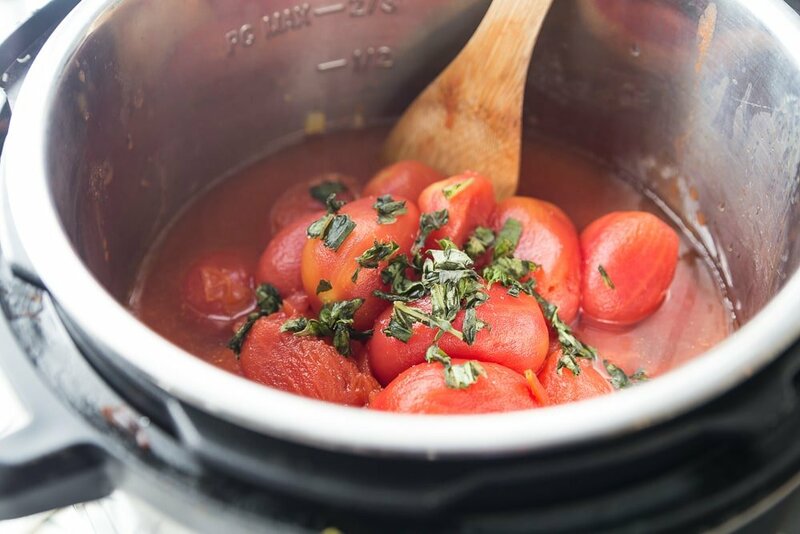 This creamy, delicious, and easy Instant Pot Tomato Soup is made with tomatoes, fresh basil, veggies, and a dollop of coconut cream. Oh – and don’t forget the crispy cheese chips for the perfect, low carb topping! 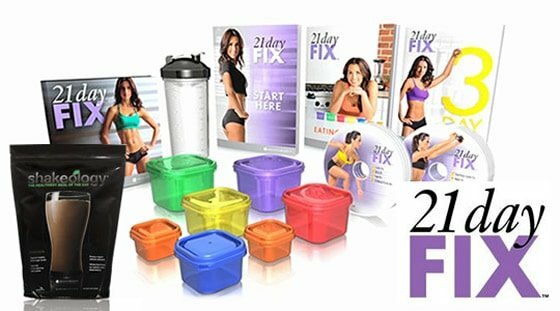 This healthy comfort food soup is great for anyone following the 21 Day Fix, 2B Mindset, Liift 4, Keto, Weight Watchers, or any other nutrition plan. This post contains affiliate links for products I’m obsessed with. Guys…I can’t believe I’m only now putting a tomato soup on this blog. I’ve literally been meaning to do it for forever now because you all need this is in your life. As I am writing this, I’m looking out the window at a distinctly Fall looking sky…and while the temperature is still on the warmer side, there is a dampness in the air and a grey, overcast sky. In other words, the perfect day for soup. As far as recipes go, this Instant Pot Tomato Soup couldn’t be simpler. You could easily adapt this for the stovetop or even the crock pot, but I love how quick it all comes together in a pressure cooker. 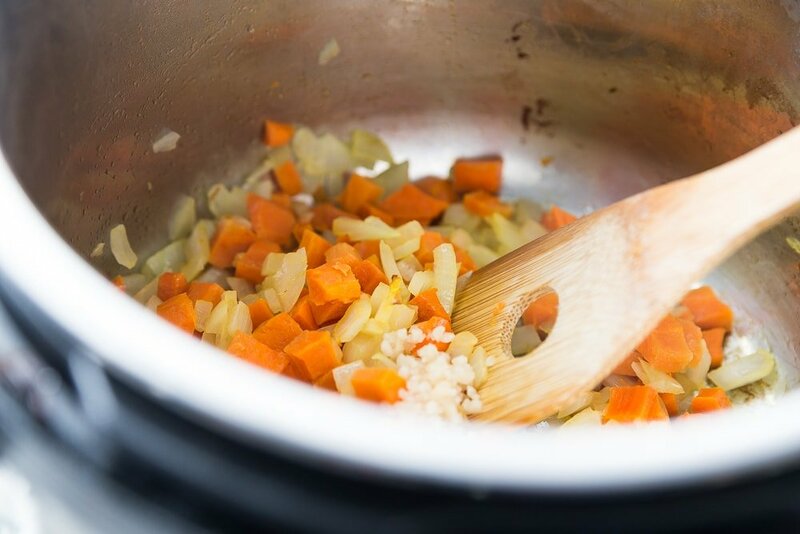 And while this soup has a few fresh ingredients – namely onions, carrots, garlic and basil, it also relies heavily on pantry staples so you are minutes away from a pot of this cozy and inviting meal. 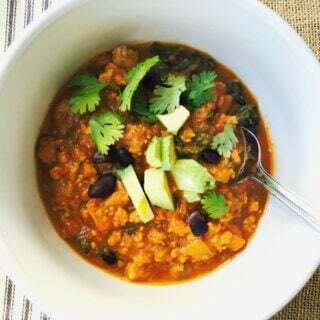 I used two large cans of whole Italian Style San Marzano tomatoes as the base of this soup because they are super low in acidity and they produce very few seeds. They are actually a type of plum tomato which is what my grandma and mom always use in their fresh sauce. And, yes, fresh tomatoes would also make an amazing soup, but that’s a recipe for another time! 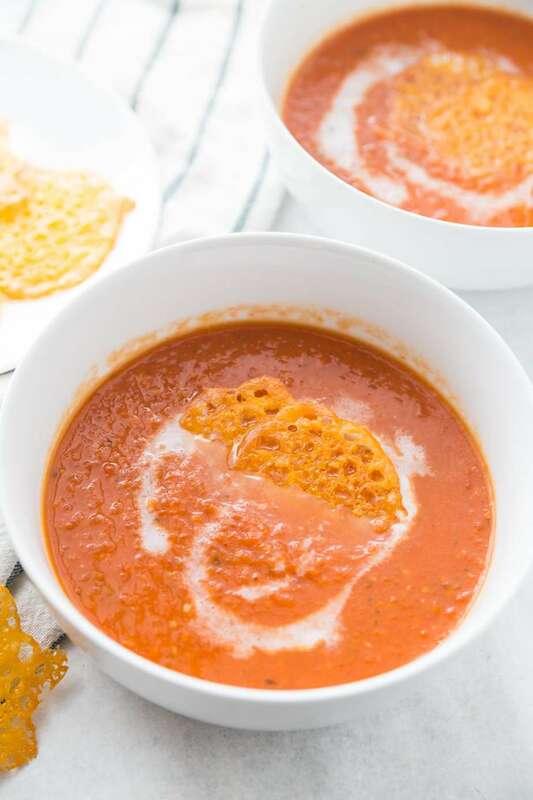 To keep this Instant Pot Tomato Soup recipe dairy free for my son, as well as Paleo friendly and FIX approved, I have used coconut cream instead of heavy cream and I added this after the cook time is through right before blending. If you like your soup even creamier you can add more…and I promise that your soup will NOT taste like coconut! If you don’t yet have an Immersion Blender, it’s time you added one to your holiday list as it will make life so much easier! Yes, you can use an actual blender (I’ve used my Ninja), but it’s so much easier and way less messy to blend right in the pot you cooked in. And, for the final touch, I made a bunch of Crispy Cheese Chips to use in place of croutons and oh my word, are they ever dreamy. 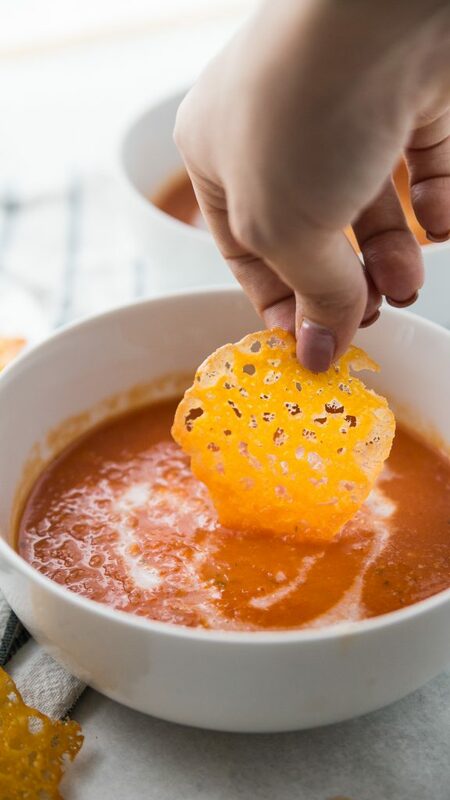 I used sharp cheddar because Tomato Soup always makes me think of grilled cheese, but it would also be lovely with homemade Parmesan Crisps even Monterey Jack Crisps…or just go for the grilled cheese sandwich if you are feeling it. To make the crispy chips, I used my silpat , but you can just line a baking sheet with parchment paper! 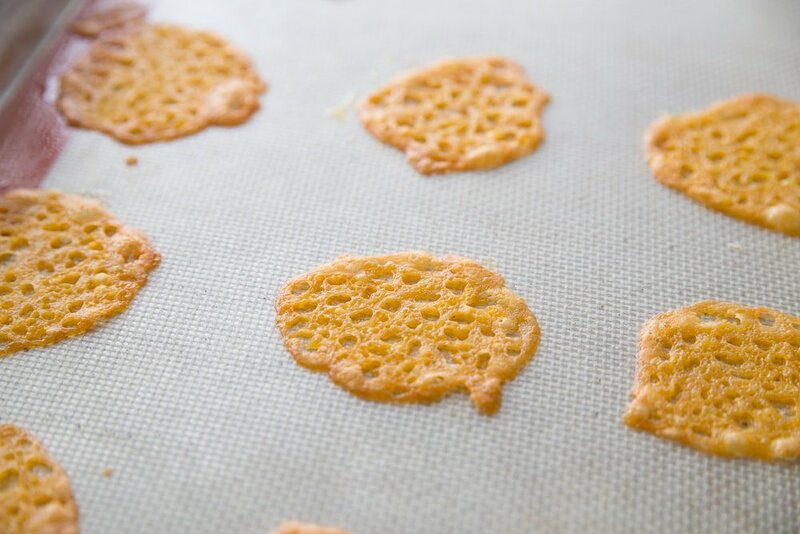 I actually tried to make grilled cheese croutons for this for a hot minute, but these Crispy Cheese Chips came out WAY better and since I’ve been a crispy cheese picker my whole life, I’ve been dying to feature it in a recipe. Check out how easy this delicious soup really is! How can I make this Instant Pot Tomato Soup vegan/vegetarian? Super (no pun, I swear) easy! 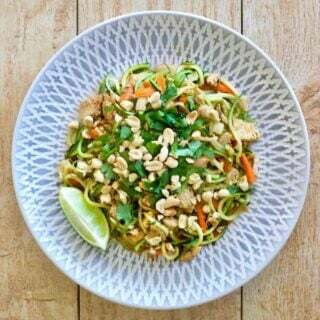 Just swap out the chicken stock for veggie stock, and either omit the Crispy Cheese or use a vegan friendly cheese! You won’t have to swap the Coconut Milk because that’s already vegan friendly! Can I use Greek yogurt in this Instant Pot Tomato Soup instead of Coconut Milk? I haven’t tried it myself, but I bet it would work. You could also leave the coconut milk out, but it’s seriously my secret ingredient for making everything delicious! 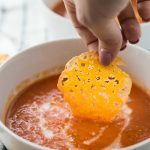 Is Tomato Soup low carb? 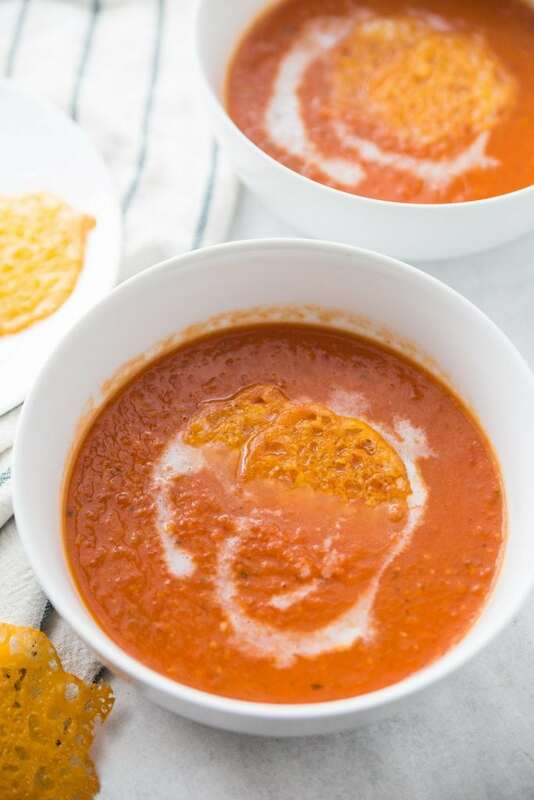 Tomatoes are fairly low carb, as are the other ingredients in this soup, so you are fine to enjoy it if you are following a low carb or Keto diet. Can Tomato Soup be frozen? Yup! This is a great soup to prep ahead and portion for quick dinners or lunches! Just measure out and store flat in ziplock containers. What are the 21 Day Fix container counts for this Instant Pot Tomato Soup? This soup counts as a green and half of a teaspoon per serving! 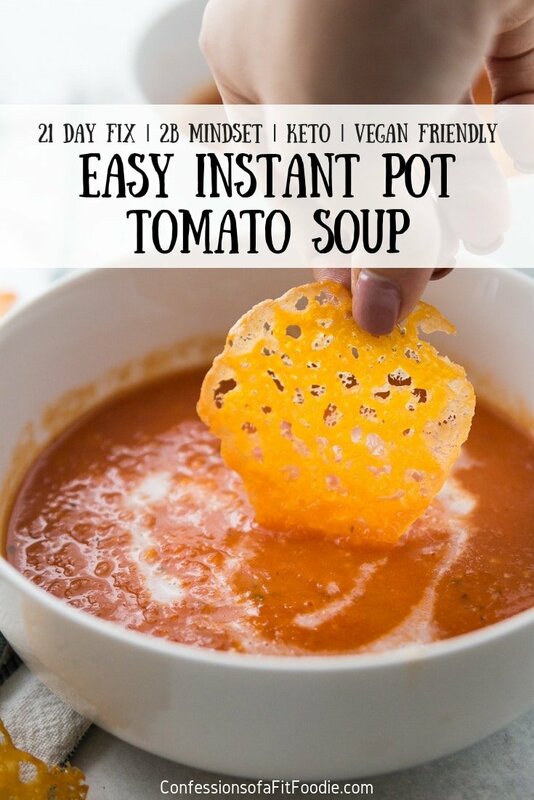 And you can have this Instant Pot Tomato Soup on 2B Mindset, Liift 4, 80 Day Obsession, Whole 30 (minus cheese), Weight watchers, and really any other healthy eating program. Looking for more Instant Pot Soup Recipes? Check out some more of my favorites! This creamy, delicious, and easy Instant Pot Tomato Soup is made with tomatoes, fresh basil, some veggies, a dollop of coconut cream. Oh – and don’t forget the crispy cheese chips for the perfect, low carb topping! Set Instant Pot to saute and add in butter and olive oil when it’s hot. Saute carrots and onions until fragrant, then add in garlic. Saute for an additional minute. 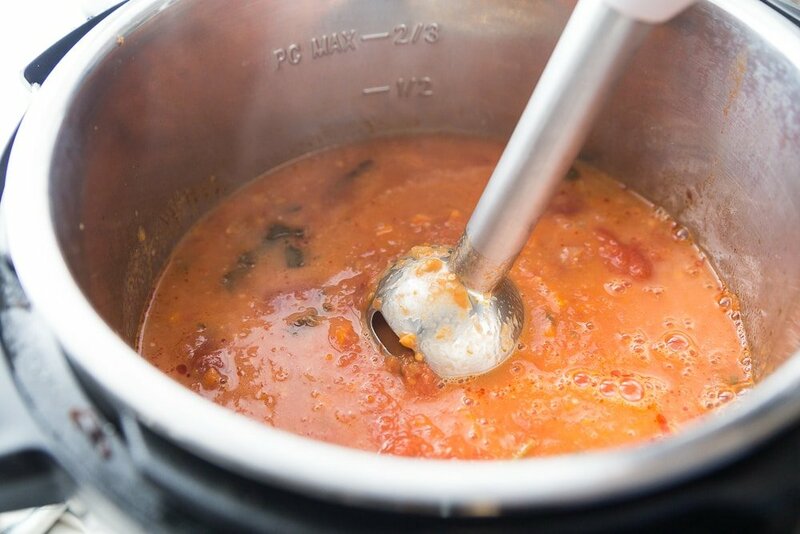 Add tomatoes (with puree), chicken stock, ½ tsp of salt, and fresh basil to the pot. Lock lid and set for 5 minutes. 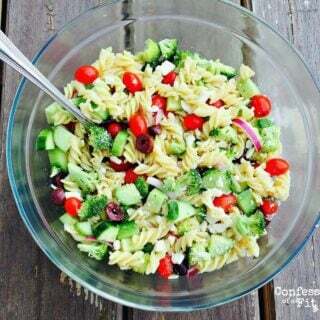 After cook time do a full natural release. Remove lid. Add in coconut cream. Use an immersion blender and blend until soup is smooth. Taste and adjust with salt, pepper, and dried basil if desired. Preheat your oven 400 degrees. Line a baking sheet with parchment paper and spray with cooking oil spray or use a silpat. Arrange Cheddar cheese (or cheese of your choice) in 10 small ½ tablespoon heaps on the prepared baking sheet. Bake in the preheated oven until golden brown, about 7 minutes. Keep watch because they burn quick. Cool for 5 to 10 minutes before removing from baking sheets. 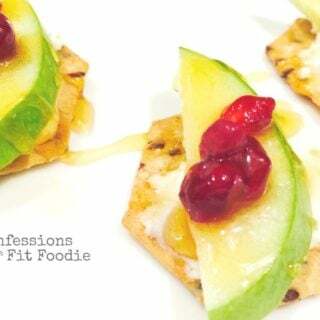 1 Green, 1/2 tsp (soup) **If you add the crispy cheese chips, they are 1/10 of a blue each…go ahead and enjoy a few! 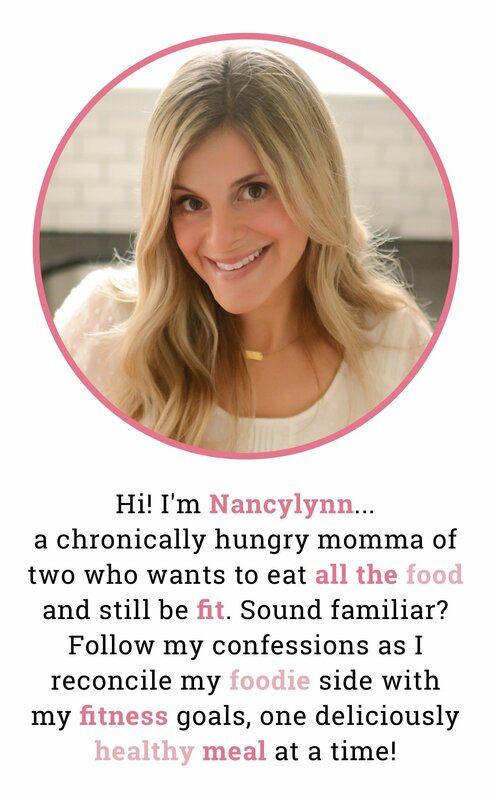 Nancylynn, with all your wisdom, please help me. I somehow always screw up with the coconut cream, can you refresh my mind? How exactly do we get the cream from coconut milk? Hi! When I am buying my coconut milk in the store, I shake the can…the brands that feel the most solid are the ones with the most cream :). Your other option is to refrigerate your can of milk for a few hours – the cream will solidify!